Looking for private in-home or in-studio Flute lessons? Our Carmichael teachers are ready to get you started. Find your teacher today! Learning the flute is a great way to explore your creativity. 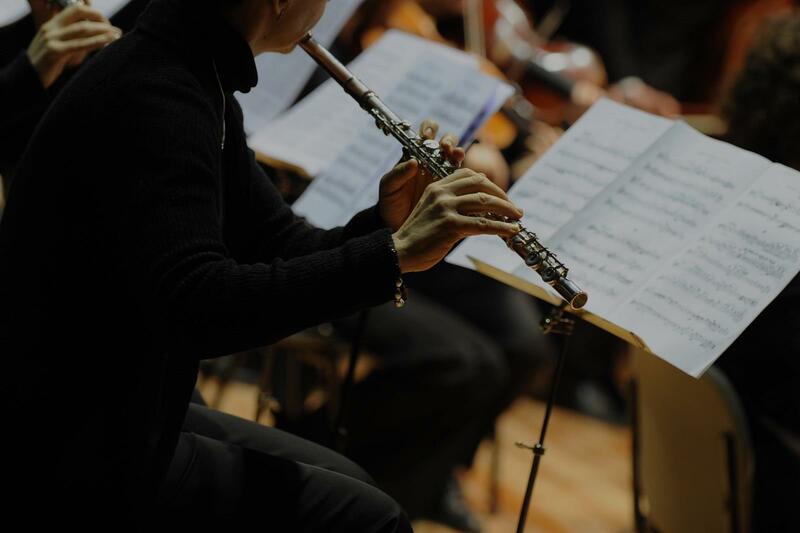 Flute is the one wind instrument with amazing versatility and expression. It is as comfortable in an orchestra as a jazz band. Do you or a child you know want to learn how to play flute, recorder, baroque flute, or even piccolo? I love to teach and can help you on your or your child's path to further your music education. If you have questions about If you would like to take lessons but don't see a time or location that works for you, please send me a message. I am a very flexible teacher and schedules can change and may not be reflected on the availability calendar. teaching and performing. Actually make that 40 years! I teach students of all ages. I specialize in personalized, tailored instruction with a strong commitment to making the process of learning music simple and straightforward. Each student has a unique learning style and I work with each student within their style. Your lessons are designed for YOU, whether beginner, intermediate, or advanced. Your lesson pace, curriculum, and progress are based on your strengths and learning style. I am by vocation a musician specializing in performing and teaching flute. I have taught flute and played professionally in the greater Sacramento area, as well as in SLC, Utah and Reno, NV. Sue is patient and extremely knowledgeable about music and flutes. She has an easy going personality and I feel very comfortable learning under her guidance. I can't say enough great things about Sue! Under her guidance, it's been a pleasure getting back into playing my flute after a hiatus of over 25 years. Her knowledge of the instrument and expert instruction (as well as her infinite patience!) continue to provide me with the motivation I've needed to overcome some of the challenges I've faced after being away from my instrument for so long. Her teaching style is relaxed and flexible but firm; she knows just when I need to be challenged and just when to back away a bit. She's been a great fit for me, and I encourage other flute players of all levels to giver her a try! Dr. Sue Sheya is truly an exceptional instructor. As a student who studied a little bit of music in Europe, it was difficult for me to adjust to the American solfege system (C, D, E scale) as I was used to the European solfege (Do, Re, Mi). However, Dr. Sheya was very flexible and adjusted all her lesson materials so that I could truly succeed in learning. I highly recommend her for anyone looking for a supportive, friendly, and enthusiastic teacher that can truly guide them in learning how to play the flute! Teaching since 1993 upon insistence of my university music professors, I love helping others find their joy in music! In my studio lessons are custom-crafted to your needs. Please include a message phone number in your emailed inquiry :-) Thanks! The average cost of 60-minute flute lessons in Carmichael is $75. While the exact cost will vary depending on the teacher, type of lesson, and your location, you should expect to spend anywhere between $70 and $80 per hour. For the best experience, we typically recommend 60-minute flute lessons. However, students looking for a more affordable option may want to consider a shorter lesson length of 45 or 30 minutes. On average, 45-minute flute lessons are 27% less expensive at $55, and 30-minute lessons cost 40% less at $45. Curious how much flute lessons cost in your area? Do a quick search to get local prices for the best flute teachers near Carmichael. each week. My daughter and I checked out probably 6 teachers and she picked Sue. Sue is the farthest from our house, but I have no regrets. I can sense the depth of mastery my daughter is developing under Sue's guidance. Thanks so much!" ars of violin lesson), I learned something brand new about flute and music principles. Her rate is extremely reasonable especially considering how professional and diligent a teacher she is. I am very grateful to be guided to her when I was looking for a flute teacher." ue is a kind, patient, and understanding teacher, but also makes sure to hold her students accountable for their own education. Thanks to Sue, I've become a much better flute player!" s causes." I started lesson with Sue when I was 65 years old, with absolutely no music background. I so regret that I didn't find Sue and undertake flute when I was much younger. She tried, and was pretty patient, but I think I was pretty hopeless." "Good teacher, talented and knows what she's talking about." limpsing the possibilities in my musical future. Even though I have taken flute lessons before, Sue was able to show me connections between scales and notes in our first few lessons that I did not know. She is full of good exercises and demonstrations to help you better understand everything you would want to know about your instrument of choice or music in general. She strikes a very good balance between simple tips that are easily applied and big picture concepts that the student may take a long time to fully appreciate and master. This is a teacher who will facilitate rapid progress but also keep you excited about that which you have not yet learned." "I can't say enough great things about Sue! Under her guidance, it's been a pleasure getting back into playing my flute after a hiatus of over 25 years. Her knowledge of the instrument and expert instruction (as well as her infinite patience!) continue to provide me with the motivation I've needed to overcome some of the challenges I've faced after being away from my instrument for so long. Her teaching style is relaxed and flexible but firm; she knows just when I need to be challenged and just when to back away a bit. She's been a great fit for me, and I encourage other flute players of all levels to giver her a try!"